Michelle Townsend-Watts, MD, is chief of breast imaging for MedStar Union Memorial and MedStar Good Samaritan Hospital. Dr. Townsend-Watts received her medical degree from Louisiana State University Health Sciences Center – New Orleans, LA in 2001. She completed her preliminary year of internal medicine as well as her diagnostic radiology residency training program at the Bridgeport Hospital in Bridgeport Connecticut. Upon completion of residency training, Dr. Townsend-Watts became a fellow at the Memorial Sloan Kettering Cancer Center specializing in breast and body imaging. 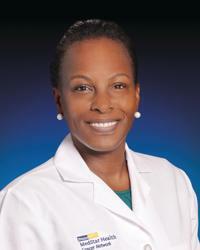 Following her fellowship Dr. Townsend-Watts joined the faculty at the University of Connecticut School of Medicine where she became the director of breast imaging from 2008-2011. Dr. Townsend-Watts was most recently a clinical assistant professor as a member of the faculty of the University of Maryland School of Medicine from 2011-2016.